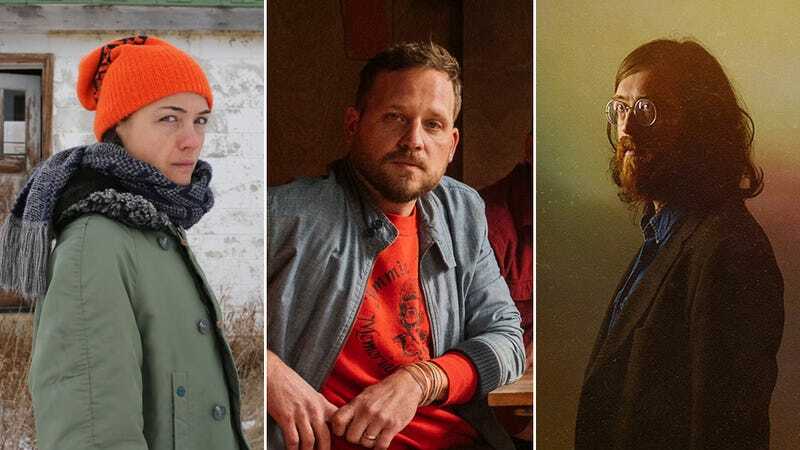 Grouper’s Grid Of Points finds the artist at her most vulnerable, while Dr. Dog loses momentum on Critical Equation, and Okkervil River’s In The Rainbow Rain is pretty but a little schmaltzy. These, plus Speedy Ortiz in this week’s notable new releases. And check out our review of Janelle Monáe’s Dirty Computer here. Liz Harris’ work as Grouper has been a gradual process of stripping away the layers of swirling, celestial white noise that shrouded her early albums, until, on 2014’s stark Ruins, you could hear the distant beep of a microwave under the trailing tendrils of her voice. She’s even more vulnerable on Grid Of Points, a set of songs she sketched out shortly after Ruins’ completion. They’re similarly bare and beautiful—each just a series of heavily sustained piano notes hanging in the air, Harris’ delicate, multi-tracked harmonies floating through them—and they carry the same stilling, emotional weight. Grid’s abbreviated runtime (seven tracks in just over 20 minutes) doesn’t give you much time to linger in it, and some melodies simply prove too gossamer to grab on to. Harris’ lyrics, as ever, are more sensed than received. Yet it’s another uniquely immersive, meditative experience, however briefly it lasts. RIYL: Julianna Barwick. Mount Eerie. Beach House. Falling snow. Sitting very still. The members of Dr. Dog took some time off before digging into their laid-back 10th studio album, Critical Equation. Unfortunately, it’s difficult not to feel like that break drained a certain amount of the Philadelphia band’s momentum: With the exception of the hollering “Heart Killer,” a brisk earworm with spongy synths, and the hypnotic garage-psych opener “Listening In,” Critical Equation is forgettable and stuck in a soporific midtempo groove. “Night” starts off as a skeletal acoustic song, but soon develops a zoned-out vibe thanks to shooting-star keyboard shimmers; laissez-faire piano and raconteur-esque falsetto vocals spiral lazily around “Buzzing In The Light”; and the title track is slacker indie-folk with rippling chorus harmonies that feels like it’s underwater. Dr. Dog’s music is usually far more engaging and inventive, so hopefully Critical Equation’s monotonous tedium is a mere blip. 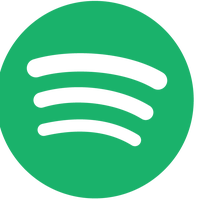 RIYL: Modern-era Spoon. Later Black Keys albums. The spacier moments of The Flaming Lips. A solid soundtrack to smoking weed. The cover art for Okkervil River’s latest album is a perfect summation of the music within: a prism full of verdant tropical flora, surrounded by mire stretching into infinity. In The Rainbow Rain’s tracks find Okkervil mastermind Will Sheff unpacking hardship in search of life’s perfect little greenhouses, the incorruptible gleams of hope and beauty in everything from surgery to the death of loved ones to humanity’s very existence. But there’s a thin line between positivity and schmaltz, and Sheff sometimes awkwardly tumbles into the latter, like on “How It Is,” where he channels Coldplay for an “oh”-filled celebration of humility and forgiveness. Like the exotic brush of the structure on its cover, the songs here are among Okkervil’s lushest productions, adorned with choruses and horns and washes of sunny guitar, paired well with whatever subject Sheff happens to be tackling. Even when he gets too sappy, there’s always those stellar arrangements to serve as a saving grace—the record’s own equivalent of that lovely, incorruptible prism on its sleeve. RIYL: The War On Drugs. Bruce Springsteen. Stories of celebrity tracheotomies set to song. Speedy Ortiz already completed one follow-up to 2015’s Foil Deer, but in the wake of the 2016 election, the more personal and love-inflected tracks “just didn’t mean anything” to singer Sadie Dupuis, and the project was scrapped. Who knows what was cast aside, but Twerp Verse is as strong as anything the band has compiled. Don’t expect some angrier, politically explicit version of the four-piece: This is still the off-kilter, sometimes rambling art pop that is the group’s stock-in-trade. The main difference is in Dupuis’ lyrics, which were always witty and memorable, but here get bolstered with a lacerating sense of frustration and black humor. With a bevy of minor-key inspirations, these songs follow bleak stories of unwanted male aggression (“Villain”), indictments of apathy (“Lucky 88”), and sarcasm-packed put-downs of pretentious idiots (“You Hate The Title”). The more exploratory electronic pathways of Dupuis’ solo project are here as well, with “Lucky 88” approaching St. Vincent territory at times. With few absolute standouts, it’s a consistent, engaging listen full of little surprises and ongoing discoveries. RIYL: Pavement on uppers. Deerhoof on downers. Patti Smith making art pop.